With Hostway|HOSTING Managed Support for Amazon Web Services, you get AWS-certified design expertise, cost optimizations, and 24x7x365 support coverage of your AWS deployed solutions so you can focus on your business. We will help you identify the right architecture to optimize the performance and cost needs of your business, including hybrid deployments to a dedicated cloud when you just need AWS to burst workloads. Let us manage your existing AWS deployment, or start a new project with us. 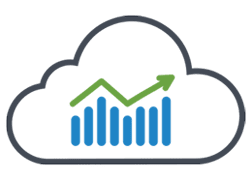 Hostway|HOSTING Managed Support for Amazon Web Services offers the best combination of features, scope of support, and value as your business grows. Support for a wide range of operating systems, frameworks, tools, and databases. The Hostway|HOSTING Multi-Cloud Console gives you a single view into multi-cloud management. Run websites with highly variable traffic. Hybrid Cloud lets you choose between Public or Private Cloud using solutions like VMWare. Burst to the cloud from on-premise or dedicated hosting for variable traffic and unpredictable load. Project cost trends to avoid surprises and shift workloads to obtain the best rate. Manage developer environments for spinning up/down quickly, running experiments, paying only for what you use. Run infrastructure-aware apps that automatically provision resources.